Walks can talk. Long after historical figures have passed on, buildings remain to tell the story of a city. 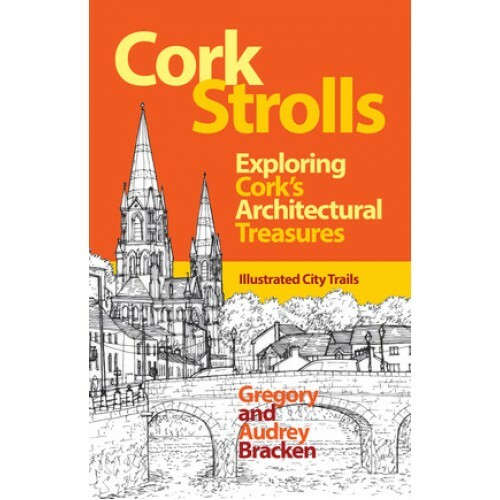 These beautifully illustrated walks through Cork's architecture include clear maps, expert insights and intriguing historical details that will make you see the city in a whole new light. Learn about Ireland's tallest building, the hotel where Michael Collins spent his last night and landmarks like the English Market and the old Beamish & Crawford brewery. 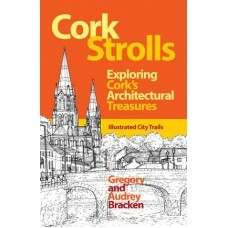 The trails also open up outlying attractions like Fota House and Blarney Castle, as well as the seaside towns of Cobh and Kinsale. The clock on St Anne's Church in Shandon was built so poor people could take their medicines at the right time. The kink in the spire of Trinity Presbyterian Church is said to have been made deliberately by workers in a wage dispute. South Main Street residents used to complain about the heads displayed on spikes in front of South Gate Gaol being blown up the street on windy days.